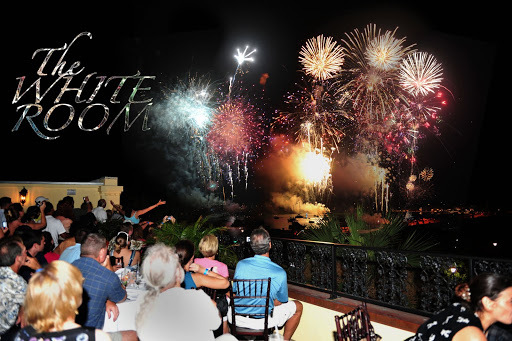 Come celebrate our nation’s independence at the The White Room’s Loft and Rooftop and enjoy the fireworks with the best view in town. Dinner includes a fresh market station with fresh fruit, imported cheeses, salad, Rosemary and Herb crusted Beef Tenderloin, Chicken Florentine, garlic herb whipped potatoes and fire roasted vegetables, dessert, and complimentary cocktail. $45.95 plus tax and gratuity. Outside seating is limited the first 100 reservations. Special Children’s menu. The White Room is located on the third floor of 1 King Street in Downtown St. Augustine on the water across from the Bridge of LIons. For more information call 904.824.9056 or email info@ocwhiteroom.com for reservations.